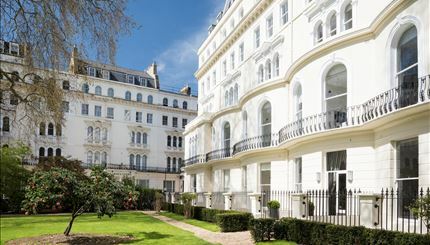 This superbly refurbished one bed two bath patio apartment (389 sq ft) within this stunning Grade II listed building with access to beautiful communal gardens. The apartment has been interior designed and finished to the highest of standards with high end modern finishes whilst retaining its original Grade II listed features from the original building. The apartment comprises splendid bedrooms with built in custom wardrobes one with en-suite bathroom, a luxurious reception room with bespoke furniture leading onto its own the privat patio, an exquisite polished marble bathroom and a fully fitted bespoke Miele kitchen. 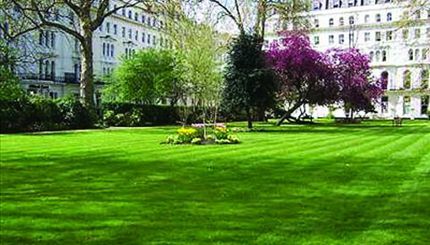 The apartment has access to the stunning communal gardens which is one of London’s few remaining traditional Garden squares. 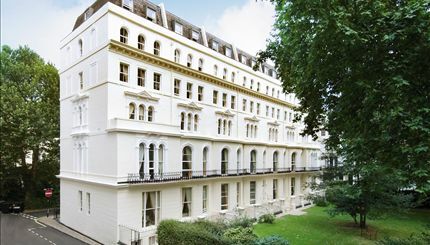 The building hosts 24 hour security, lift service, unique private access to Kensington Garden Square gardens and an emergency out of hour’s maintenance service.